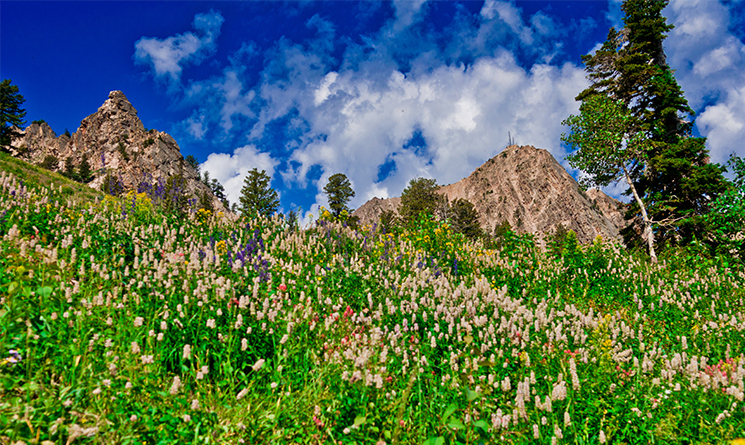 Summer is in full swing at Snowbasin Resort. With the gondola spinning on the weekends and Blues, Brews and BBQ happening every Sunday, the fun just never stops. To add excitement to the summer season, Snowbasin Resort is adding a festival weekend, July 21-23 with free activities for everyone. Join Snowbasin Resort for a jam-packed weekend of free music, food and fun. On July 21, start your weekend off with ‘Little Lebowski Urban Achievers Day’ on Friday evening at 6:30pm. We will be celebrating in the spirit of everyone’s favorite cult-classic movie, “The Big Lebowski”. Earl’s will be open late with the traditional libations of Caucasians, Oat Soda and Sarsaparilla for the young ‘dudes.’ There will be lawn bowling, a costume contest and trivia hosted by Richie from X96 at 8:00pm. After the prizes are given out the main event will commence with a free screening of the classic film at dusk. This movie is rated R and not recommended for children under 18. On Saturday, July 22, the fun continues with a ‘Snowbasin Summer Beer Fest.’ Join local Utah craft breweries as they take over Snowbasin Resort for the day. There will be delicious food, craft beers, prizes and games. A special summer beer fest tasting mug will be available for sale and beer tokens will be sold for $2.50 apiece. The costume craze will continue with a contest for best dressed in their Game of Thrones attire. Dance the afternoon away with live, free music from the Young Dubliners, The Vandoliers and the Maw Band. Closing out this fun weekend on Sunday, July 23 is a very special rendition of the weekly free Blues, Brews & BBQ concert with ‘Fro Fest’. An incredible ensemble of free music with Andy Frasco, Kris Lager Band, Groovement, Folk Hogan and Tony Holiday will keep the party going all day. The artists will play separately as well as together, entertaining and playing to what the crowd wants to hear. Wear your best ‘FRO’ and stand to win a prize. For more information, please visit http://www.snowbasin.com or call 801.620.1000.